Chevron decided to team up with the local neighborhood council to dedicate a bench, plaque and photo of Raymond Olson in a nearby park. After 12 years of covertly caring for the memorial, Olson will no longer have to hide. 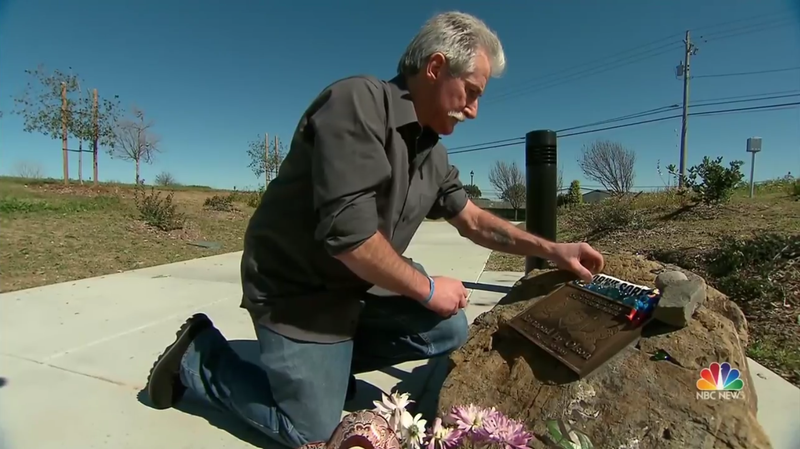 With the new memorial, Olson said he feels he can finally accept his son’s death.